The Luck of the Irish is celebrated each March 17th, not only in Ireland but throughout the world by Irish and non-Irish alike. The Luck of the Irish is celebrated each March 17th, not only in Ireland but throughout the world by Irish and non-Irish alike. Originally dedicated to the patron saint of Ireland, St. Patrick’s Day has evolved into a more secular celebration of Irish heritage, including parades, festivals, and gatherings around the world. In fact, it is the most widely celebrated saint’s day on the planet. Just remember you will need to be “wearin’ o’ the green”. The whole world loves the Irish. How could anyone not? No other country is as stereotypically drunk, fun and friendly. No other country has been the direct or indirect cause of populating so many other countries. In North America and other places in the New World, millions claim Irish ancestry and take extreme pride in their roots – including the writer of this blog! Aye, me grinmither, she came from Dooblin, she did. da, Newfoundland and Labrador, boast as being almost exclusively made up of Irish descendants so like Ireland, St. Patrick’s Day is regarded as a public holiday. According to the Irish Tourist Office, around 70 million people around the world consider themselves Irish or of Irish ancestry. And according to American census reports, more than 10 times more Irish are living in North America than in Ireland. Even Barack Obama has Irish roots! 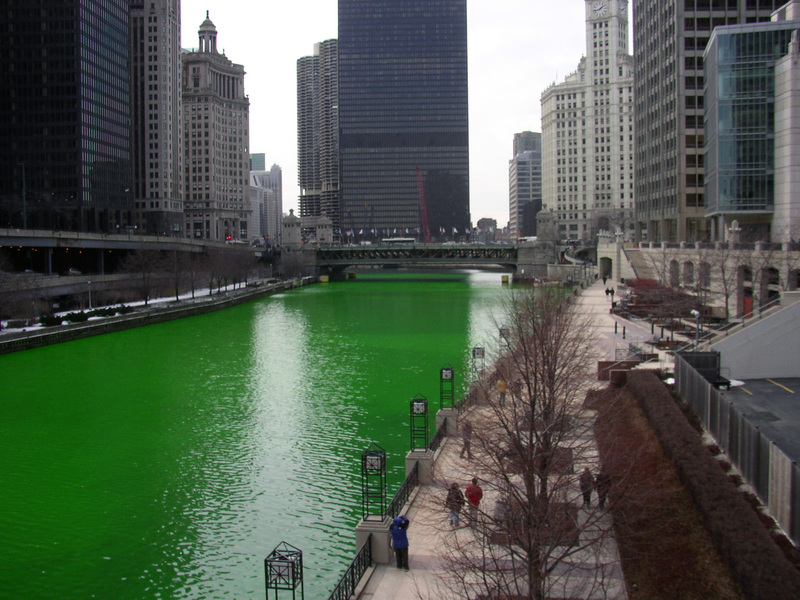 St. Patrick’s Day is honored in many ways and not only in Irish pubs! A number of business offices have embraced the tradition so you may see many wearing something green next Tuesday. You know there are more than “fifty shades” to choose from! If you don’t own any clothing, how about finding a green scarf, tie, pin or socks? Wearing green is believed to make one invisible to leprechauns who will pinch anyone they see! Celtic Music is associated with St. Patrick’s Day—and Irish culture in general. The Celts had an oral culture, where religion, legend and history were passed from one generation to the next by way of stories and songs. In Canada there are a number of talented Celtic groups that have modernized this music and kept it alive. Was a dry holiday in Ireland until 1970. Being a religious holiday the pubs were closed. The real St. Patrick wasn’t even Irish. He was born in Britain (some say Wales) around A.D. 390. The color traditionally associated with St. Patrick was blue, not green. Vancouver holds a Celticfest that includes a St. Patrick’s Day parade on Sunday, March 15th. On any given day 5.5 million pints of Guinness, the famous Irish stout brand, are consumed around the world. According to Guinness drinking of the “Black Stuff” more than doubles to 13 million pints on St. Patrick’s Day. or how about a Baby Guinness? To make this ‘shot’, in a shot glass, layer 1/2 oz of Bailey’s Irish Cream on top of 1 1/4 oz of the Kahlua.